One of the first things that strike you upon meeting Charlie Simpson is just how tall he is. Teenage starlet no more, the solo artist is a towering presence – and one packed with gleeful enthusiasm. Chatting to Clash backstage at Camden’s Roundhouse, during the iTunes Festival, Charlie even seems to enjoy the chore of sound checking, putting the current line-up of his band through its paces, and enthusing over each sound patch in the process. Releasing his second solo album ‘Long Road Home’ in the summer, Charlie also issued an expanded version of debut LP, 2011’s ‘Young Pilgrim’. Packaging it with a number of extras, the singer opted to use LANDR – a new piece of software put together by MixGenius – to bring the best out of the bonus, previously unreleased material. An intelligent music tool that automates the mastering process, LANDR’s flexibility, says Charlie, “brought the whole album package together to create something seamless”. This passion for technology crosses over into Charlie’s musical influences. 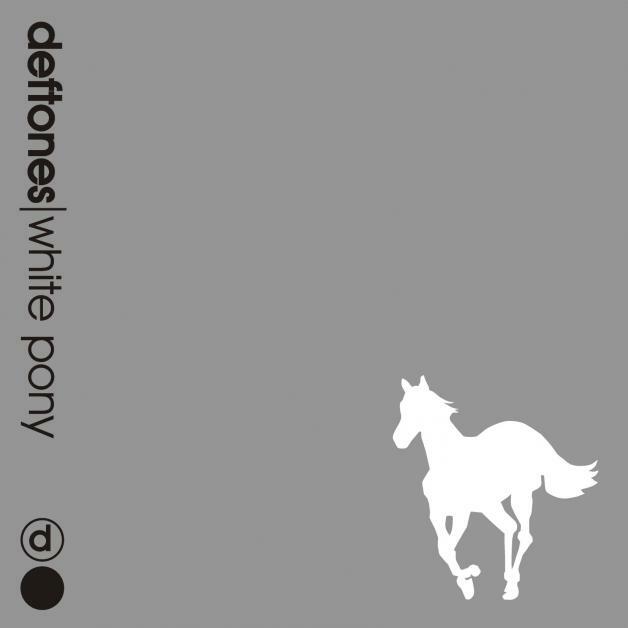 When we ask him to choose his own Spotlight album, one that’s had a substantial impact on his musical journey, he chooses Deftones’ 2000 collection ‘White Pony’. “I first heard ‘White Pony’ when I was at school, doing homework,” he recalls. “I had this Rock Sound (magazine) sampler (CD), and they featured the song ‘Street Carp’. I used to get really excited when magazines brought out monthly samplers to give you a taste of what’s coming out. “I loved Deftones anyway. I got into them on (1997 LP) ‘Around The Fur’, but there was just something so fresh-sounding about that new song and I couldn’t put my finger on what it was. It just clicked with me. It clicked with me in every way a song can click with you. Then I was just like: I have to find this record. One of the most significant changes for Deftones between albums two and three was the increased presence of fifth member Frank Delgado. Considered ‘additional personnel’ on ‘Around The Fur’, by the time of ‘White Pony’ his electronics and samples had become a vital part of the band’s sound. “Frank is the secret weapon of Deftones! He influenced a lot of the (Charlie’s on-hiatus rock band) Fightstar stuff, actually. It’s like, you don’t really know what he’s put on there, but if you took it away something massive would be missing. It’s ethereal stuff. On the track that Maynard James Keenan from Tool sings, ‘Passenger’, there’s just this weird stuff going on in the background. It’s eerie and that’s what takes Deftones out of that (nu-metal) scene. Which, to be honest, I went off pretty quickly. Like, (frontman) Chino Moreno is just cool – the epitome of cool. I idolise that guy because he’s just so f*cking cool. I went to see them last year, and he just strolls onstage! He’s a f*cking don, man. “I still hear different things in ‘White Pony’ even now. And another great thing about the record is that everyone who plays in Deftones – it’s so sad about (bassist) Chi Cheng dying, as he brought so much to it as well – they all have their own signature styles going on in the music. It’s like, (drummer) Abe Cunningham: you can put it on and I can tell it’s Abe Cunningham. It’s a similar sort of thing with those riffs, they’ve just got a unique element and when you put those things together it’s Deftones. So if you have different guys with Chino as the singer I don’t think it would sound like the Deftones. Some bands have that, where it’s the guys in the band together who make it. LANDR, the world’s first intelligent and instant cloud-based mastering service, revolutionizes the mastering process with drag-and-drop simplicity, achieving results that rival professional studio work in minutes. This opens up a world of possibilities for musicians and producers: LANDR your demos before sharing them, drop in full length DJ mixes or live recordings, make a track on the road and have it mastered in time for your gig the same night. LANDR lets you integrate mastering seamlessly into your creative process. Sounds like something you want to try out, right? Today is your lucky day as we’ve got a one-month free trial to offer you, and all you have to do is click here. Once your free trial ends and you’re left craving some more it’s at the really affordable price of $9 a month for 4 WAVs and $19 a month for unlimited WAVs.